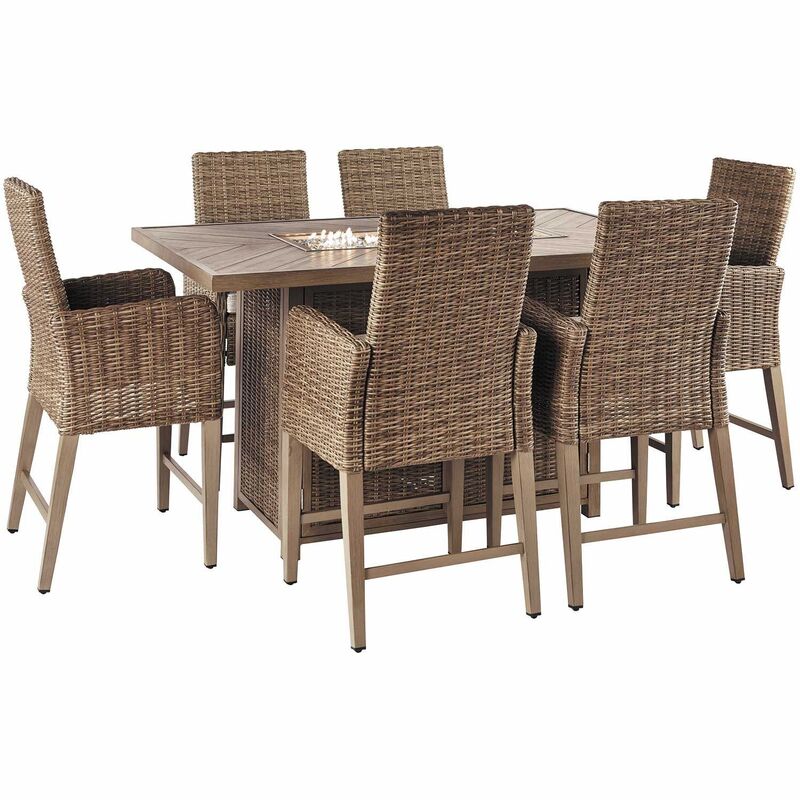 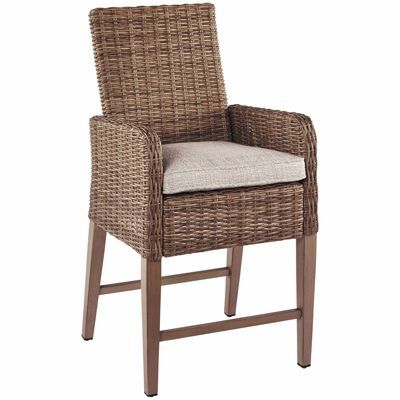 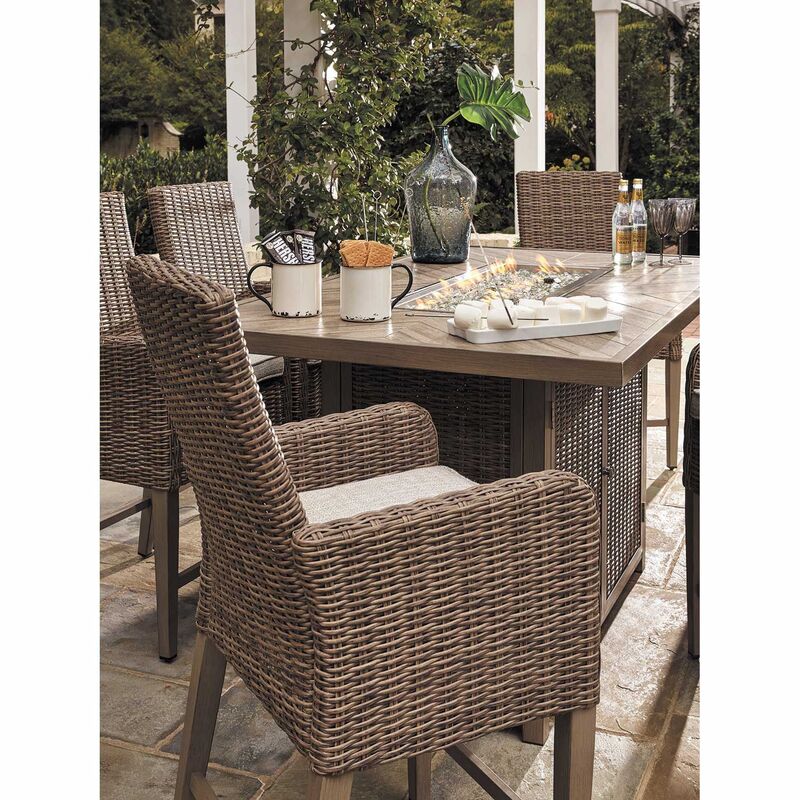 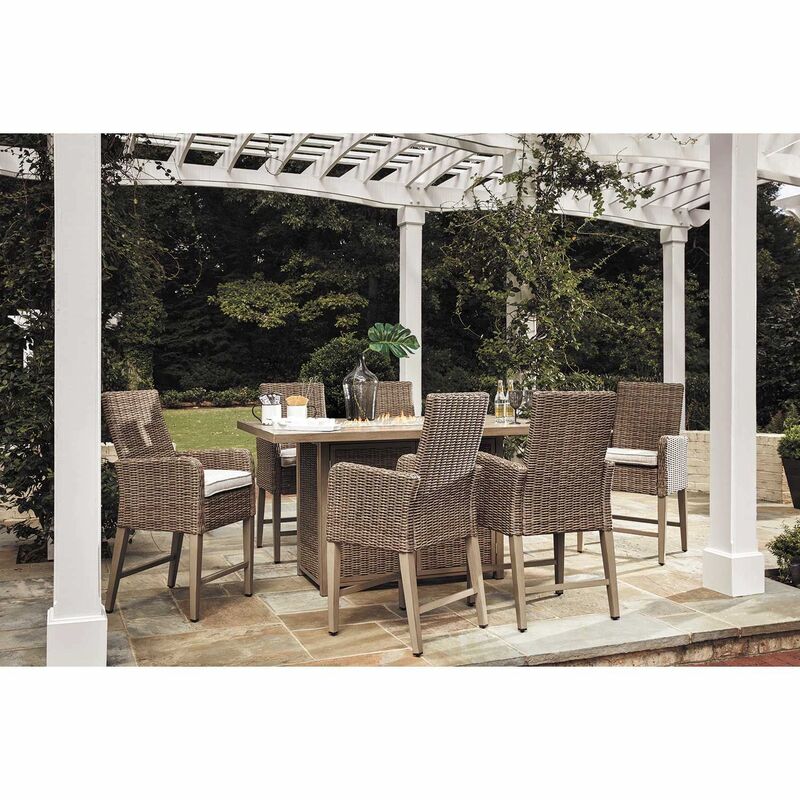 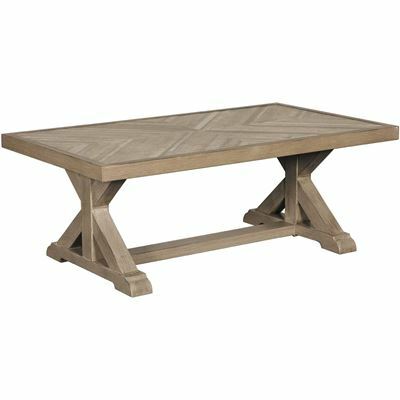 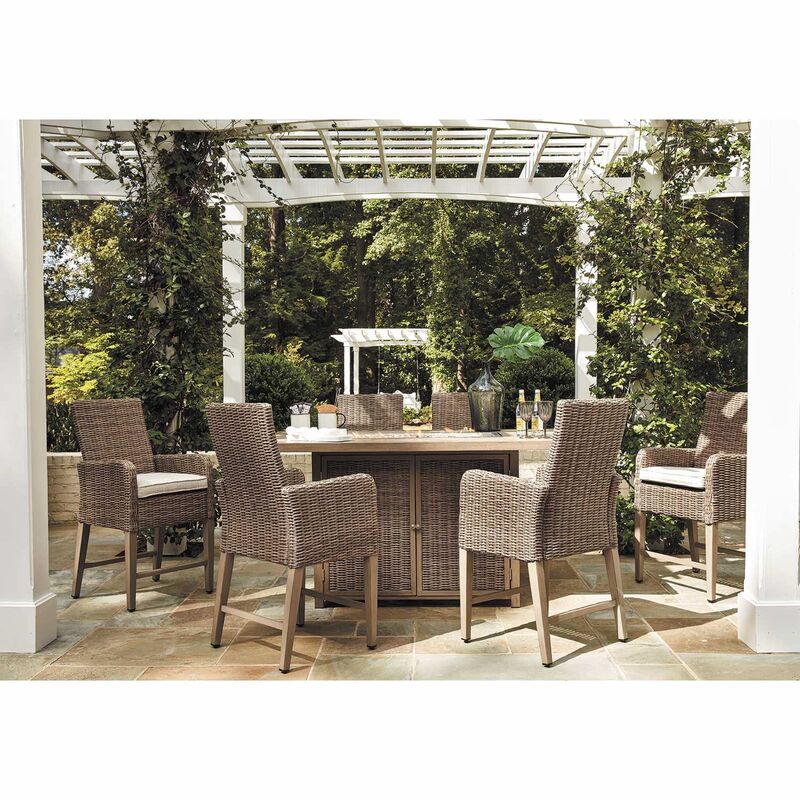 Beachcroft 7 Piece Outdoor Patio set by Ashley Furniture. 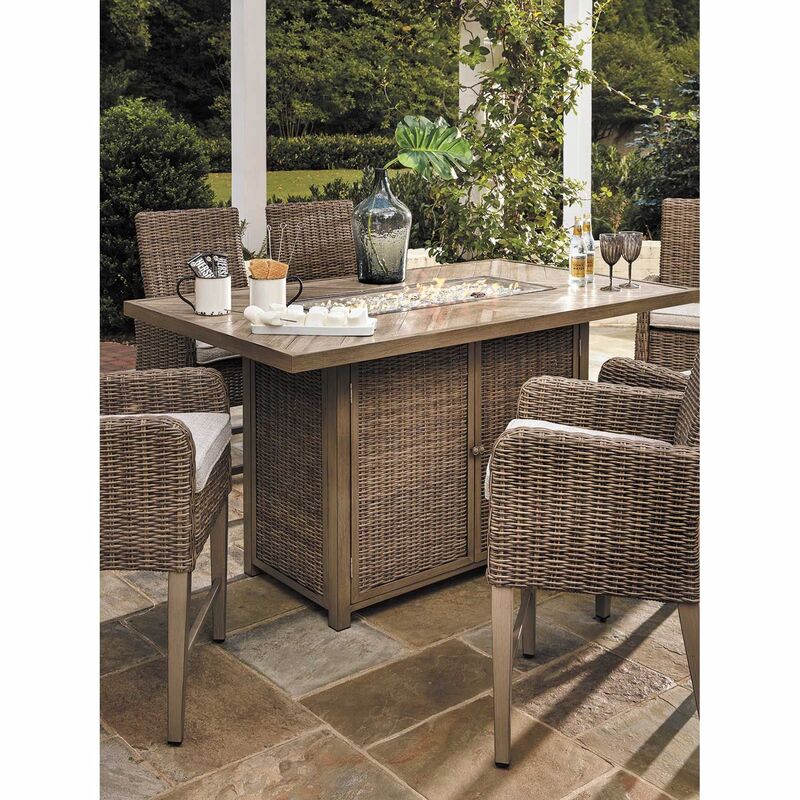 Set includes 6 barstools, 1 fire Pit Table. 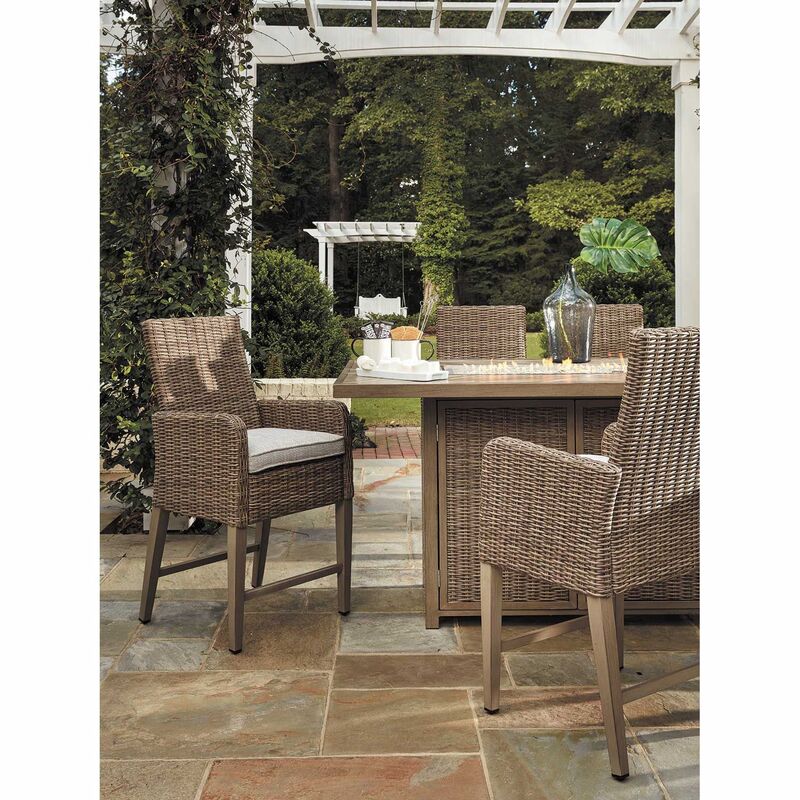 All-weather resin wicker handwoven over powdercoated rust-proof aluminum frame. 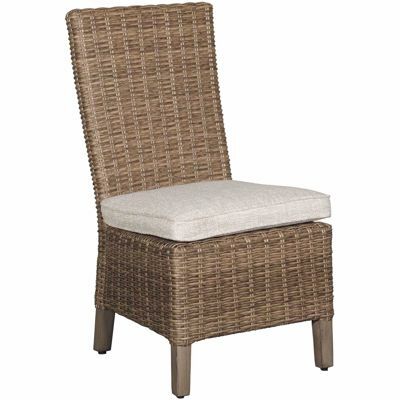 Zippered cushion covered in high performing Nuvella® fabric.